Speaker : Dr. Kumar N. Sivarajan, Chief Technology Officer, Tejas Networks. Abstract: Our telecommunication needs today consist of a personal, mobile, 3G or 4G service, and a high-speed, wired, DSL or GPON, broadband Internet connection at home. With the rapid growth of Internet usage on smartphones and tablets, and the changing nature of human interactions in a socially-networked, app-driven world, mobile communication needs are also predominantly for Internet access, and not telephony. In countries such as India which have minimal broadband penetration, this foretells an explosion of broadband users over the coming decade. While the telecommunication networks, which were originally built for fixed and mobile telephony, provide virtually all of the infrastructure for mobile and fixed broadband Internet access today, telecom service providers face many challenges from Over-the-Top Providers such as Google and Facebook. In this talk, we will discuss these challenges and the opportunities they present to telecom service providers, equipment providers and researchers, in the global as well as the Indian context. Brief Bio. : Kumar N. Sivarajan co-founded Tejas Networks in 2000 where he serves as Chief Technology Officer. From 1994-2000 Sivarajan served on the faculty of the ECE Department, at the Indian Institute of Science, Bangalore. From 1990-1994, he was with the IBM T. J. Watson Research Center, Yorktown Heights, New York. Sivarajan is co-author of the textbook `Optical Networks: A Practical Perspective' first published in February 1998. He is a Fellow of the Indian National Academy of Engineering and a recipient of the Swarnajayanti Fellowship from the Government of India. He also received the IEEE Fortescue Fellowship and the IEEE Bennett and Baker Prize Paper Awards. Speaker : Prof. Wei Yu, University of Toronto. Abstract: Cloud radio access network (C-RAN) is an emerging wireless cellullar architecture in which the base-stations (BSs) take advantage of high-capacity backhaul links to upload signal processing and computation to a cloud-computing based central processor. The C-RAN architecture offers an enabling platform for the centralized joint encoding and joint decoding of user messages and a capability for intercell interference mitigation across the BSs. In this talk, we address the capacity analysis and optimization technique for C-RAN while specifically taking into account the finite capacity constraint on the backhaul links. In the uplink, the C-RAN architecture can be modeled as a multiple-access relay channel. We show that a compress-and-forward scheme in which the BSs quantize the received signals and send the quantized signals to the central processor using Wyner–Ziv coding is sum-capacity achieving to within a constant gap. We also propose a successive convex optimization approach for optimizing the quantization noise covariance matrix. In the downlink, the C-RAN architecture can be modeled as a broadcast relay channel. We compare the message-sharing strategy versus compression-based strategy for this setting, and show how compressive sensing and weighted minimum mean-squared error (WMMSE) techniques can be used to solve a network utility maximization problem involving joint user scheduling, BS clustering and beamforming in a user-centric message-sharing C-RAN design. Brief Bio. : Wei Yu received the B.A.Sc. degree in Computer Engineering and Mathematics from the University of Waterloo, Waterloo, Ontario, Canada in 1997 and M.S. and Ph.D. degrees in Electrical Engineering from Stanford University, Stanford, CA, in 1998 and 2002, respectively. Since 2002, he has been with the Electrical and Computer Engineering Department at the University of Toronto, Toronto, Ontario, Canada, where he is now Professor and holds a Canada Research Chair in Information Theory and Wireless Communications. His main research interests include information theory, optimization, wireless communications and broadband access networks. Prof. Wei Yu served as an Associate Editor for IEEE Transactions on Information Theory (2010-2013), as an Editor for IEEE Transactions on Communications (2009-2011), as an Editor for IEEE Transactions on Wireless Communications (2004-2007). He was a Technical Program Committee (TPC) co-chair of the Communication Theory Symposium at the IEEE International Conference on Communications (ICC) in 2012, a Technical Program co-chair of the IEEE Communication Theory Workshop in 2014. Prof. Wei Yu received an IEEE ICC Best Paper Award in 2013, an IEEE Signal Processing Society Best Paper Award in 2008, and the Early Career Teaching Award from the Faculty of Applied Science and Engineering, University of Toronto in 2007. Prof. Wei Yu is a Fellow of IEEE. Abstract: In a growing number of applications, we need to reliably communicate at the highest possible rate over highly dynamic and unpredictable channels. Rateless coding is a natural solution to such problems, and indeed, information theoretic analysis readily establishes that the desired capacity-achieving rateless codes exist. As such, in recent years there has been growing interest in the development of practical (i.e., low-complexity) codes for approaching these fundamental limits. While there have been good low-complexity capacity-approaching codes for implementation at the application layer, such codes give up much performance in many (e.g., wireless) applications by not directly controlling the available physical-layer resources. In this talk, I will discuss encouraging progress on this front, and highlight a surprisingly simple signal processing framework for transforming standard good off-the-shelf codes for the traditional additive white Gaussian noise (AWGN) channel into good rateless codes. This framework is both capacity- and complexity-preserving, and the result can be viewed as efficient joint design of the physical and link layers in the network protocol stack. As an illustration of the spectrum of emerging opportunities, I will describe two novel architectures suggested by this framework: one based on layered transmission and successive interference cancellation receivers; and the other based on "super-Nyquist'' signaling and decision-feedback equalization. Based on joint work with Uri Erez and Mitchell D. Trott. Brief Bio. : Prof. Wornell received his Ph.D. degree from the Massachusetts Institute of Technology in 1991, and since then he has been on the faculty at MIT, where he is the Sumitomo Professor of Engineering in the department of Electrical Engineering and Computer Science. At MIT he leads the Signals, Information, and Algorithms Laboratory within the Research Laboratory of Electronics. He is also chair of Graduate Area I (Information and System Science, Electronic and Photonic Systems, and Physical Science and devices, and Bioelectrical Science and Engineering) within the EECS department's doctoral program. 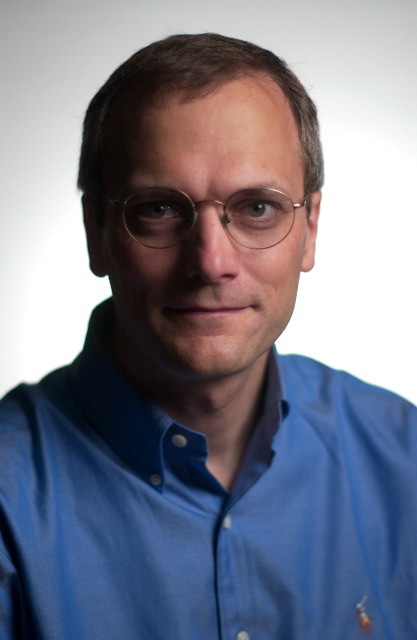 His research interests and publications span the areas of signal processing, information theory, statistical inference, and digital communication, and include algorithms and architectures for wireless and sensor networks, multimedia applications, imaging systems, and aspects of computational biology and neuroscience. He is a Fellow of the IEEE.